Technology has dramatically improved the healthcare industry. Within the past decade, modern technologies— like healthcare mobile apps and real time platforms— have continued to solve challenges in the healthcare industry. For example, some mHealth technologies have created effective solutions for patient-to-doctor communication, data management, electronic medical records (EMR), patient monitoring, and medication adherence and scheduling. The connection between patients and their medical providers has never been quicker. In addition, real time health platforms have made medical care much more efficient. Healthcare mobile apps deliver a personal connection and ease of data/information flow, which is changing the way we seek healthcare and medical attention. What are the 2019 trends for healthcare mobile apps? 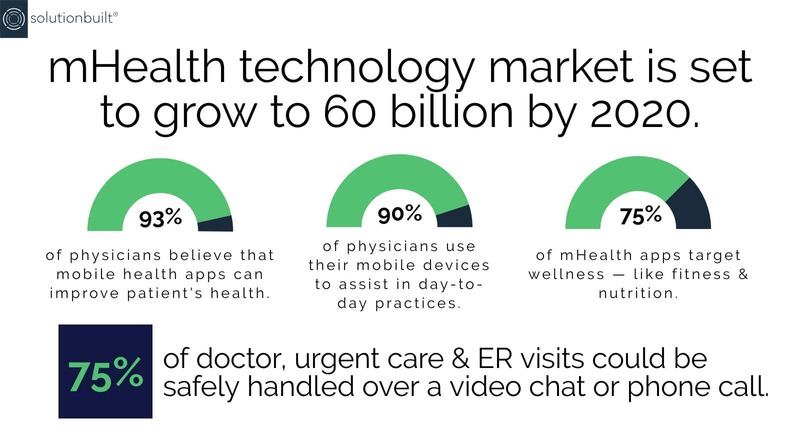 In 2019, expect some serious trends from the mobile healthcare industry. Healthcare mobile apps are on the rise. Patient care is becoming more digital and seamless, making healthcare mobile apps more important than ever before. Planning for your patients’ and organizations’ needs is crucial in the development of successful medical mobile applications. 71% of patients claimed they feel more comfortable in choosing a medical professional that had implemented and use a healthcare mobile app. 65% of patients declared that a secure practice that maintains a stronghold on their data was more important to them over convenience in accessing diagnosis and test results. 70% of patients are highly comfortable having a conversation with their medical provider over email, text, or video chat. 71% of medical providers and physicians have implemented a completely Electronic Health Records (EHR). Over 80% of consumers proclaimed that wearable technology is making a huge difference in bringing convenience to healthcare. Connected Devices (IoT Technology) has the viable potential to reduce a hospital’s health system repair time by 50%. Below are the most relevant trends in mobile healthcare that will shape the industry and make the patient/doctor relationship one of ease, trust, and accessibility— one like we have never experienced before. Interested in a healthcare mobile app? Contact us here. It is speculated that the Telemedicine industry will grow to over $40 billion by the year 2021, internationally. Telemedicine has already made a positive shift in how doctors and patients interact not being confined to the geographical distance between them. Patients have also adopted this form of communication citing that the cost benefits and ease make this a much better alternative to in person clinic visits. IoT (or The Internet of Things) has emerged as a strong trend for healthcare. Wearable technology and mobile fitness apps are everywhere, bringing minute by minute updates to consumers as they move through their day. Wearable technology is becoming even more advanced. Consumers will be able to monitor their vitals on a more heightened and serious level and hospital staff have begun using them in managing their administrative staff. Cloud based healthcare will change the way we receive and share data and records, making it exceedingly easy for patients and medical providers alike. ePrescriptions will also play a major role in the cloud taking away tedious paperwork and time wasted waiting. Bills and insurance plans are being shifted to a cloud based system as well, giving real time access to important documents and making a more streamlined commerce system for doctors and hospitals. Blockchain technology serves as a bookkeeping platform or ledger that is incorruptible, enforces transparency, and bypasses censorship. The two major critical elements of mobile and digital healthcare are preservation of patient data and HIPAA compliance. The onset of Blockchain technology elevates these issues being misused and compromised. Blockchain’s safety measures are second to none and will make is a huge part of the mHealth landscape as it grows. As more and more industries adapt the mobile payment method, users will see time saving and alleviating monetary tracking that will make for smooth transactions without wasted point of sale terminal times and confusing billing terminals. Mobile payments also make payments made during odd hours and emergency situations manageable and trusted. The mobile and digital integration of the healthcare industry has begun and it is in a fast pattern trajectory that will bring medical providers and patients a new relationship level of trust, ease, and satisfaction across a global platform. Your medical practice needs to be inline with these shifts and changes to not only retain a professional, trustworthy reputation but to also face the concerned security issues of data and Protected Health Information (PHI) of your patients that you hold the key to. Bringing these trends and new healthcare technologies to light will help inform your practice, set goals for your mobile technology needs, and drive the right practices for you to build for your patient base. Do you need a healthcare mobile app or have a healthcare mobile app idea? Our expert mobile app developers can create the iOS and Android medical mobile app of your dreams. 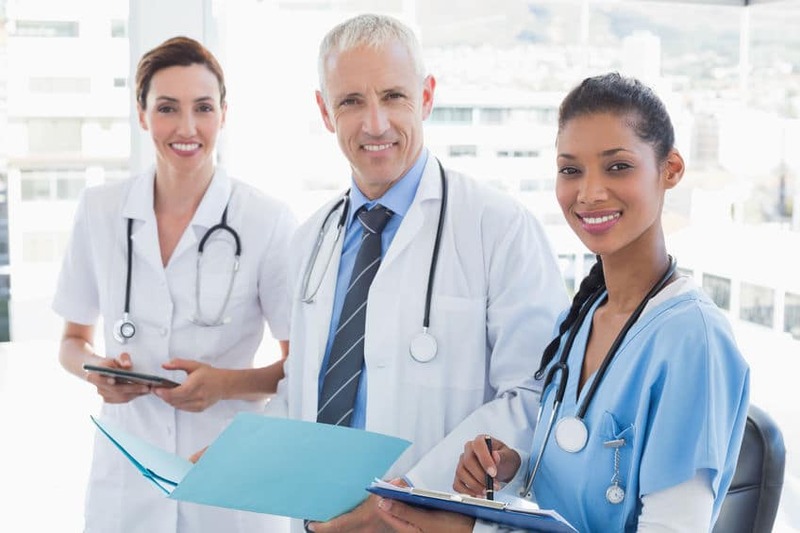 From hospitals, medical professionals, service providers to the patient level, we understand the requirements for a healthcare mobile app used in the medical industry. Standards – Many health organizations are using medical mobile apps using HL7 standards to transfer Personal Health Information (PHI) in a predefined naming convention for each data field. 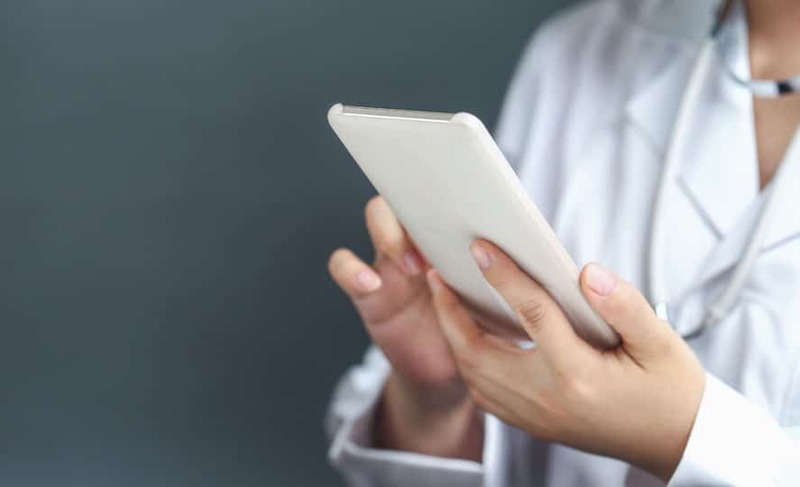 Medical Records – A lot of hospitals, clinics, and doctor’s offices are creating mobile apps for the Electronic Medical Record (EMR) of patients. This gives patients quick access to medical records on their mobile device. App Security – Our developers understand how to comply with the Health Insurance Portability and Accountability Act (HIPAA) to protect PHI. We also understand that any patient identifiable data in a medical or pharmaceutical mobile app will need to be handled with an extra level of sensitivity. We can help you create the healthcare mobile app that will make your practice more efficient and convenient for your organization and patients. Contact us online, or call us today at (404) 835-7730 to discuss your healthcare mobile app needs!